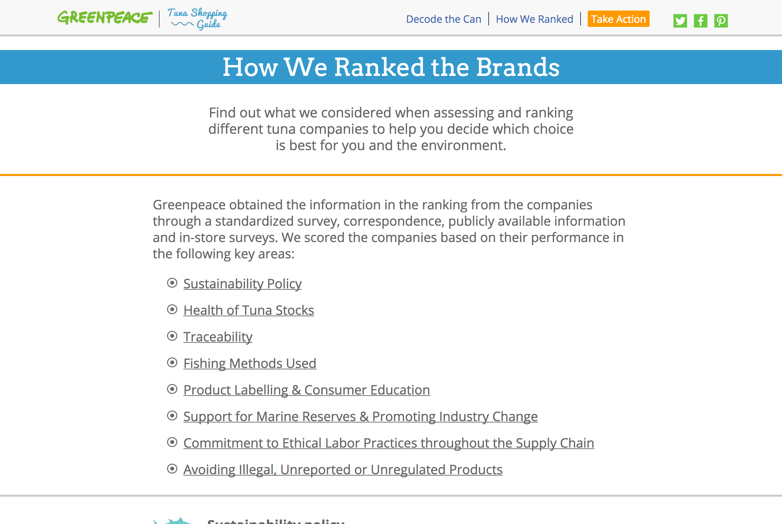 Every year, Greenpeace releases an annual report on tuna can rankings – providing information on which tuna brands are best for the environment and its workers. However, the report never has the impact or reach that it could have. 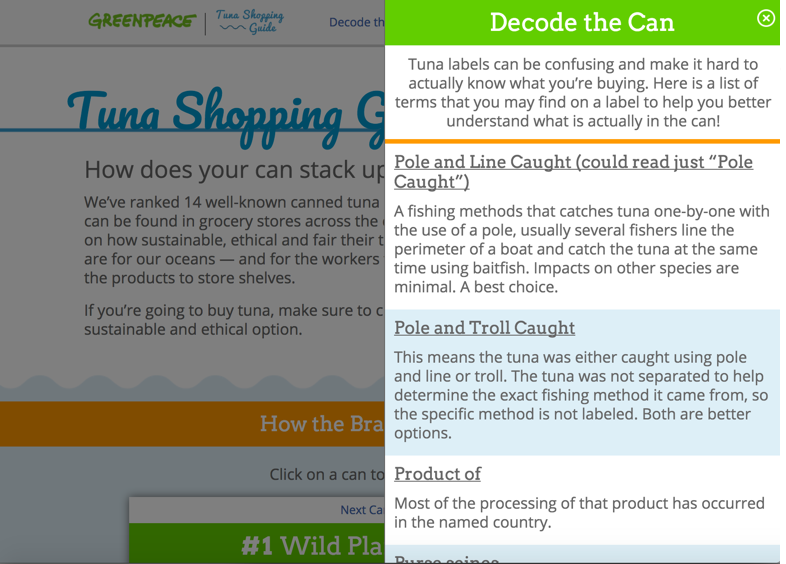 Greenpeace reached out to us to design and develop a more interactive and engaging Tuna Ranking Guide, something that would stand out and be easy-to-use amongst their main audience – “progressive moms”. 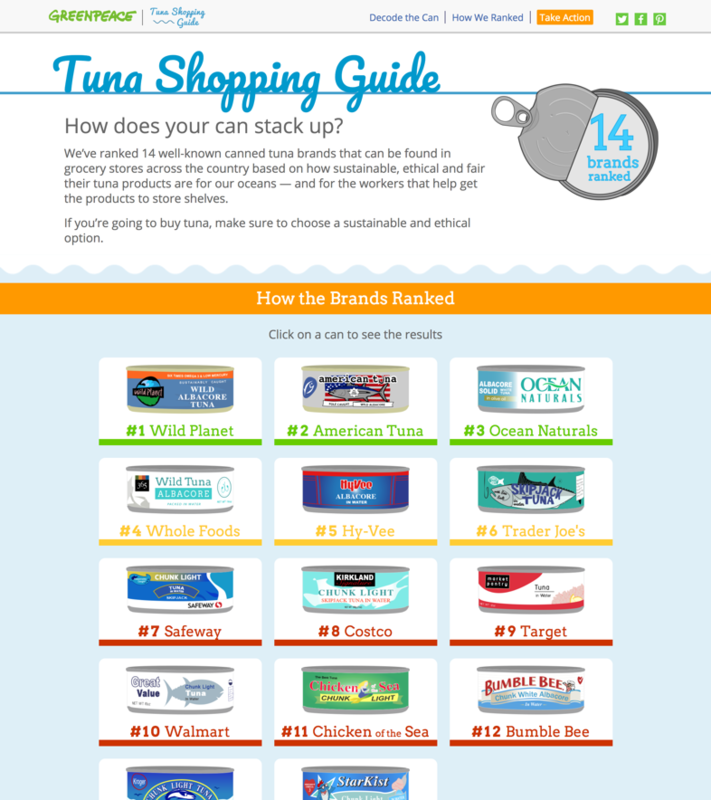 The goal of the website was to make a rather text-heavy tuna ranking into something fun and interactive. 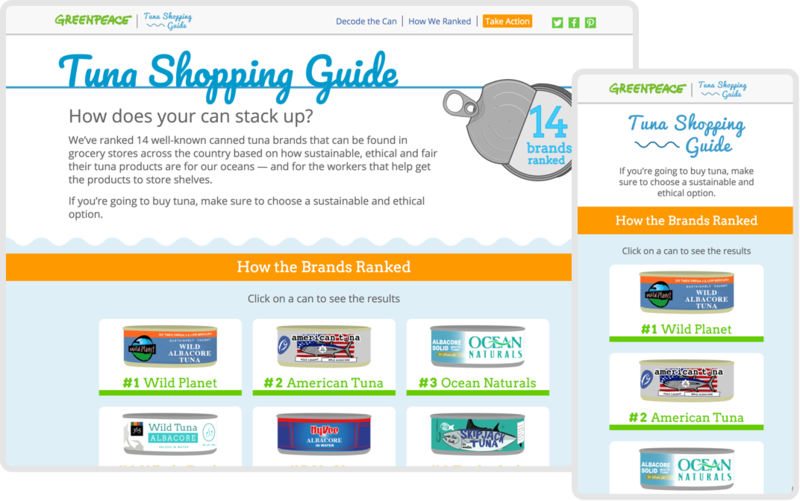 It was important for it to be mobile-responsive, making it easy for people to pull-up while they are grocery shopping or convincing their friends why they should stop eating a certain brand. We didn’t want this to be the standard PDF style report that is commonly published, but something that pulled from best practices in UX design, development, and visual design to create something captivating and engaging. 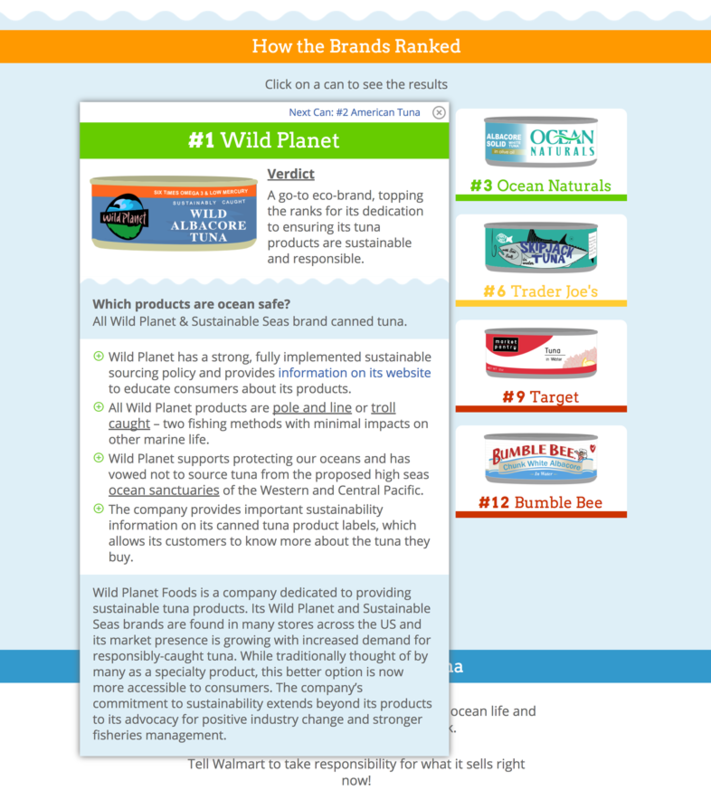 We launched the website and it did amazingly well. Within the first 2 weeks, 308,510 people visited the website, 3 times Greenpeace’s normal website traffic (the biggest driver of traffic was Facebook). Over 66% of visitors were either on a smartphone or tablet (so our focus on mobile-first was essential).